Remember when I made the first tablet cover for Mr. Aitch and it was too small? Well, I’ve been using it as a temporary-but-too-small cover for my iPad. Several people commented about knitting and felting my own cover but the sting of the failed attempt was still too new to consider that. I was going to sew one as it would be a much quicker process. Have I sewn one yet? 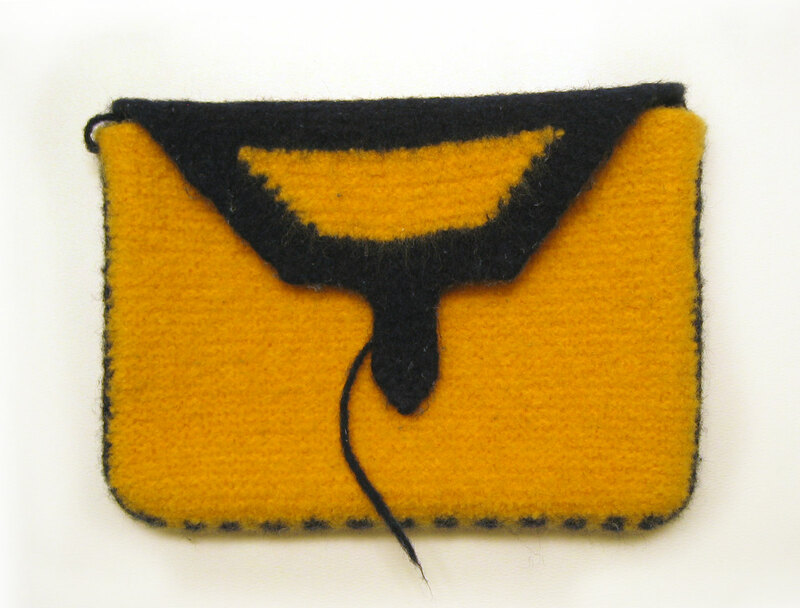 I love the feel and protection of the felted cover and am reconsidering making my own. But it has to be something more than blue and gold. Mr. Aitch’s tablet and my iPad are almost the same size so I can use the same stitch and row counts for the second cover. I just have to decide on colors and possible color work. 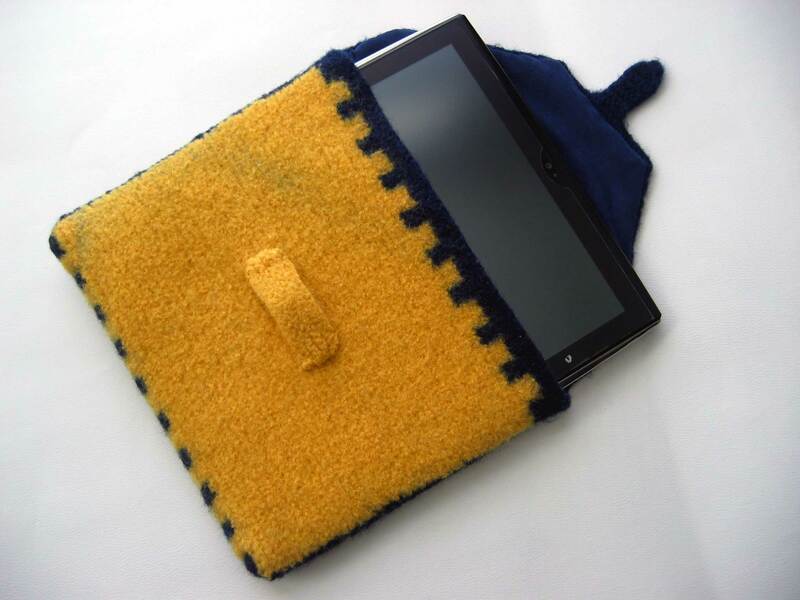 This entry was posted in knitting and tagged felting, iPad cover, knitting by Patti_is_knittinginflashes. Bookmark the permalink. I love pale yellows and sagey greens together. It’s a little less “bold” but that’s what I like about it. 🙂 Throw in just a single spot of maybe a rose color for quirkiness. How about maroon and burnt orange! Hokie, Hokie, Hokie, High!!!!! Knit it in your favorite colors. Knit an apple on it! Mimic the old rainbow Apple logo. I say go wild and crazy! Step out of your safety zone and really MAKE IT YOUR OWN! After all…..YOU DESERVE IT! It’s Spring– roadkill makes a nice cover– many choices….. Love ya!